Log into the web app as the same user that is used on the roku. Go to the guide and click the ... and select the sort. As per the title really, my TV guide on Roku is a complete mess. It seems to be that it's listing channels in the most recently viewed order (descending), therefore keeps changing. I don't know if this is intentional or a bug but it is NOT usable. Hi, does this happen in the web app? Can you please go over an example? thanks. No, this doesn't happen on the web app. 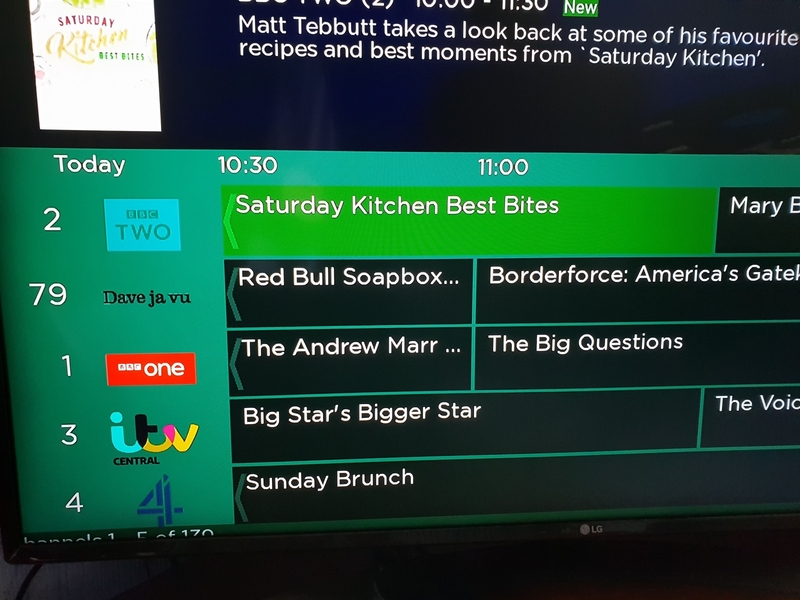 This was already set to channel number, so I changed it to recently watched, waited for the list to update on the web app then changed it back to channel number. This has fixed the ordering on the Roku. Thanks @Crooze! Edited by notla49285, 06 January 2019 - 12:19 PM. Thanks for the feedback. All of this needs review and redesign in the future.